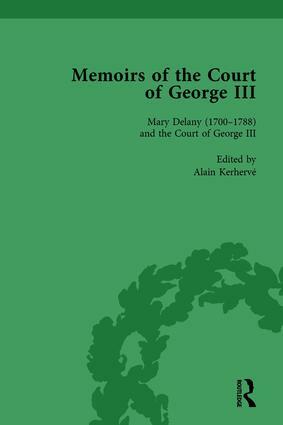 Though she failed to become a handmaiden to Queen Anne, Mary Delany went on to become a figure at Court, eventually lodging at Windsor. This new edition of her correspondence during her years at Windsor presents previously unpublished letters as well as applying modern standards of editorial principles to her correspondence. The letters show the daily rituals of living at Court, document the first social steps of Fanny Burney and Mary Georgina Port, and supply new information on the family life of the royal family – including material on the assassination attempt against George III by Margaret Nicholson.